Hop on a boat and sail to the Embera Indians community in the Chagres River. 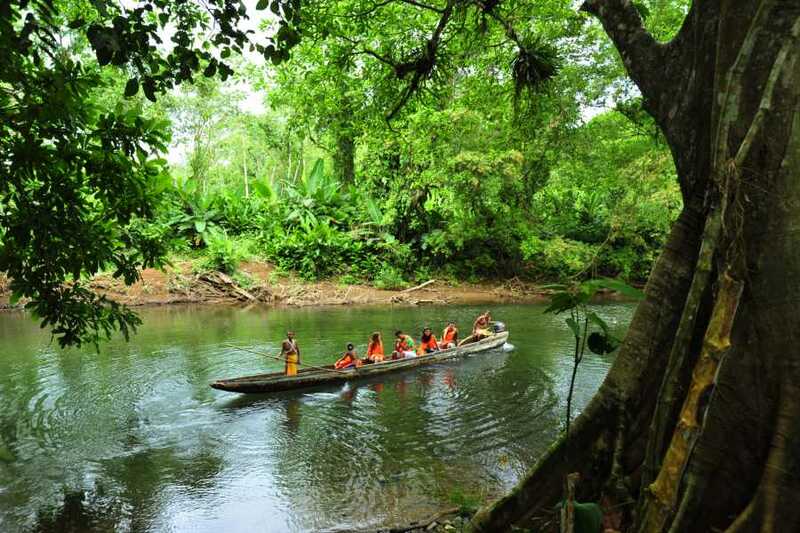 Visit the community located in the Chagres National Park, take a raiforest tour to a waterfall, admire their homes, dances and customs. 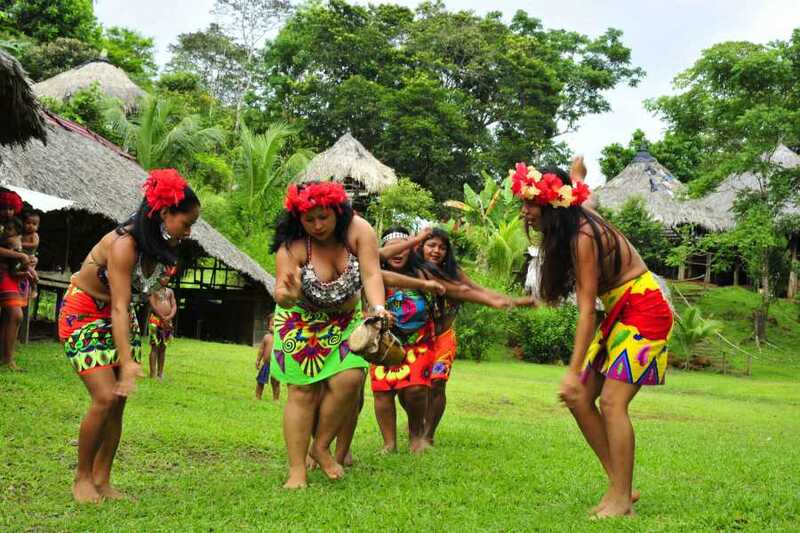 Share a traditional indigenous style lunch and do not miss the chance to buy their handicrafts. AVAILABLE: October 17, 20, 24, 27 and 31. - Donation to the Community. This activity takes place at the Chagres River. Transfer time will be approximately 75 minutes. 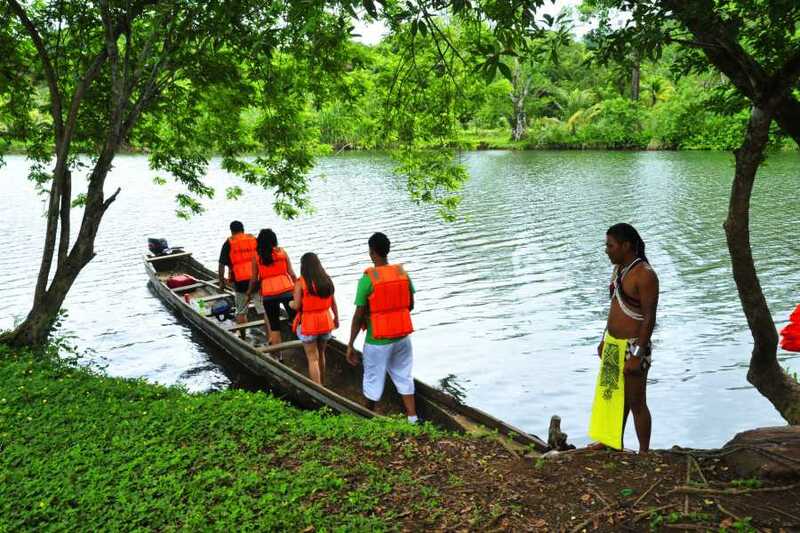 Once in the embarkation area, you will board the dugout canoes to go up the Chagres River, the main source of water supply to the Panama Canal. Enjoy a ride in the middle of the jungle, onboard the canoe boat, which is their main transportation source and fully made by the male members of the community. 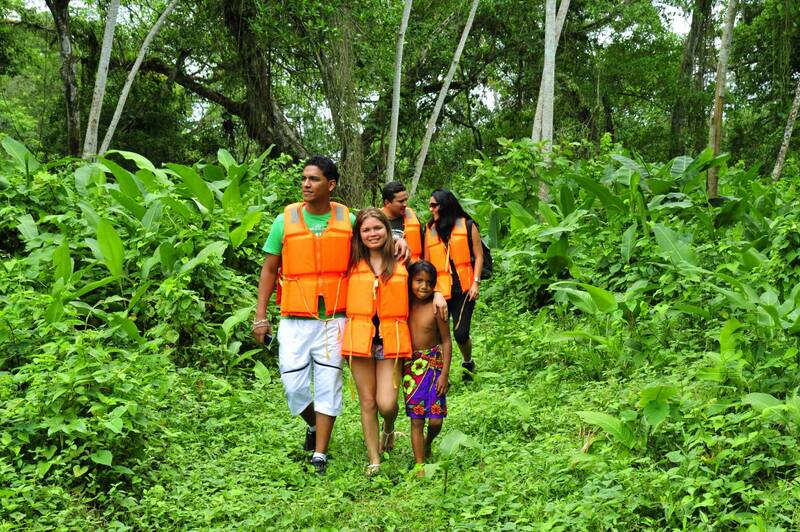 Upon arrival at the Village, you will experience the traditional way of life of the indigenous culture and learn all about it (traditions & customs). You will be able to see where they sleep, eat, spend time, the school that they have there for the children and even enjoy a dip at a small waterfall. You will have free time to walk around the village and have the chance to buy some of the handicrafts made by the men and women of the culture. 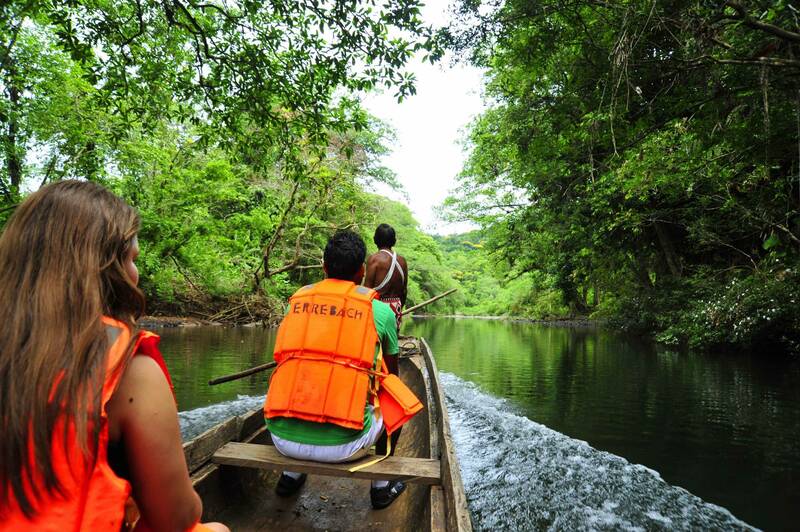 Re-board the dugout canoe for a ride back to the pier, where your bus will be waiting, and drive back to your City Hotel.